Internationally renowned as a virtuosic artist, he has performed all over the globe – in Europe, Asia, Africa, the Middle East, Central America, South America, Russia and throughout the United States. Rahul has danced extensively in India, participating in many of the most celebrated festivals. He has received the honour of being a soloist at almost all the major dance festivals like the Khajuraho Festival, Natya Tarangini’s Parampara Series, several Sangeet Natak Akademi sponsored engagements throughout India. 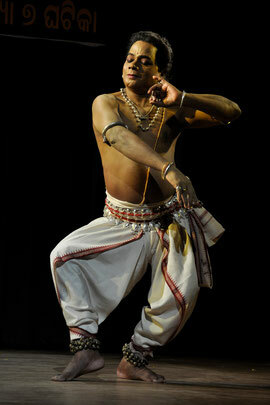 He has danced at the Mukteswar, Konark, Puri Beach, and Udayshankar Dance Festivals, as well as many more. Other appearances include ones at Kalakshetra and the National Centre for Performing Arts. Mr. Acharya has conducted numerous workshops and seminars at various universities world over. These have included lecture demonstrations at premier Indian national institutes like the Indian Institute of Technology (IIT), Indian Institute of Management (IIM), and Indian Institute of Sciences (IISc), Bangalore. Some of the international ones being Princeton University, NYU and Colombia University USA, University of Antioquia, Colombia, and various other reputed institutions. Rahul is part of UNESCO’s International Dance Council. Since 2003, he has been an Indian Council for Cultural Relations (ICCR) Empanelled Artist. He has received both Junior and Senior Scholarships from the Indian Department of Culture, and is a member of the World Movement for Indian Fine Arts, Italy. He is a regularly contributing author to narthaki.com – the largest website and directory on Indian Classical Dance. He coauthored an authoritative book on Jagannatha Puri in 2009 and is currently working on a definitive volume about Odissi dance. Nrutyacharya Guru Durga Charan Ranbir is the most celebrated protégé of Late Dr Deba Prasad Das. He is responsible for popularizing the Deba Prasad Founder GuruGurukul across the globe. 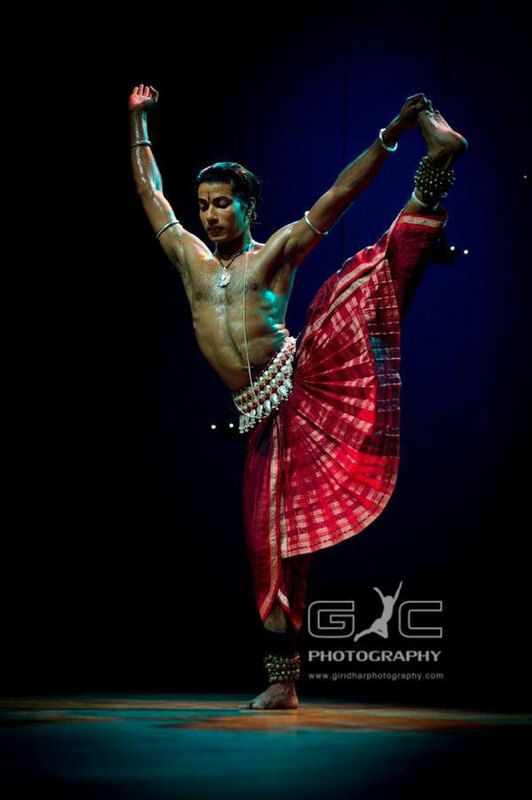 For him, Odissi is not just a profession, but a way of life. Day in and day out he is completely immersed in the bhava of Odissi. Guru Ranbir is a globe trotter and has numerous disciples worldwide. Apart from travelling with his disciples, he imparts training to them at his institute, “Nrutyayan”, of which he is the founder director. Sri Ranbir is currently involved in preserving the Deba Prasad Gharana and is exploring all possibilities to accomplish his task. Not only he himself but his able disciples are also involved in his projects. He has been very successful in his endeavor and is still striving to pass on his legacy. Guru Ranbir has very accomplished disciples not only in India but in USA and other countries who are constantly striving hard to fulfill his dreams. Born on 01.03.1951 at a remote village named Kamaguru, in the Khurda district of Orissa, Founder GuruSri Ranbir was attracted to Dance and Music since early childhood. His passion for dance was not encouraged in his family as he was born in a Zamindar family and was expected to take up an academic profession. While at school, Guruji bunked classes at the slightest pretext and would go to watch any cultural programme being held in his village. When discovered he would be severely chastised. But this only made his stand stronger. After completing his matriculation he decided to join the Utkal Sangeeta Mahavidyalaya (an university of music and dance) in Bhubaneswar. But his father hid his form without Guruji’s knowledge as he was not keen on Guruji pursuing his interests. Finally when Guruji discovered the application form, the dates for the interview were already over. With a lot of hope, Guruji arrived at the Utkal Sangeet Mahavidyalaya and approached the then principal, the celebrated Odissi exponent Dr Minati Mishra, who refused to take the interview. Since Guruji was known to the legend of Odissi music, Sangeeta Sudhakar Balakrushna Das, who was then serving as a professor of music, using his influence, a special interview was arranged for Guruji. Late Dr Deba Prasad Das was instructed to interview Guruji. 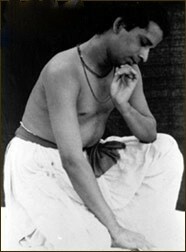 When asked what he knew about Odissi, quite confident of his knowledge, Guruji replied he knew everything. To this, Dr Deba Prasad Das Guruji & Gurumacommented that this was “Fodissi” and not Odissi. From then on Guruji seriously started training in Odissi under the direct supervision of Late Dr Deba Prasad Das and also from Adi Guru Padmashree Pankaj Charan Das. Soon Guruji became a renowned disciple of Deba sir and till date is carrying on his legacy. Deba Prasad was born in a village called Kantapada not far from Jhankada, the place famous for the shrine of Goddess Sarala, in Cuttack district. His father Sri GurukulDurga Charan Das was a police Sub-inspector. Deba Prasad's entry into the art world was through music lessons in his childhood under his grand father Bauribandhu Das who was well-versed in singing Chhanda, Bhajana and Janana etc. The dance connection came a little later when his father was posted at Puri. Deba Prasad as a boy, while going to school, came across the Akhada run by the then famous Guru Mohan Mahapatra. He was so attracted that he became a regular visitor to the Akhada instead of the school, hiding the school bag under the sand cover on the sea-shore. Observation was the initial phase followed by learning and during the early stages, he danced, dressing up as a girl. When he was hardly ten years old, his mother died and he was being looked after by his aunt. Around this time, he fled to Mayurbhanj with an intention to learn Chhau, though he could not stay there for long and landed up once again in the 'Akhada of Mohan Mohapatra at Puri where Kokila Prava Mahari was also a student. During this period, he took dance lessons from Kokila Prava Mahari and music lessons from Singhari Shyamasundar Kar. GurukulSince it was not a profession that payed well, Deba Prasad worked in a printing press during the day time and his dance and theatrical activities were kept for the evening and late night hours. By the time he was 15, he was working at Annapurna theatre at Cuttack in comedy roles and as a dancer till 1954.When he left the theatre to work as a dance teacher in Utkal Sangeet Samaj and National Music Association, during his stay at Cuttack, he came in contact with Kavichandra Kali Charan Pattnayak from whom he learnt many traditional aspects of Odissi. In fact, he was working with Kavichandra as his disciple with a scholarship of Rs. 40/- per month from Utkal Nrutyasungeet Kala Parishad which later shaped into the Orissa Sangeeta Natak Academy. GurukulIt was in 1954 that Guru Deba Prasad was exposed to Delhi for the first time to accompany Dr Priyambada Mohanty Hejmadi on the Mardala. This was for the first time Odissi dance performed outside Orissa. Late Dr. Charles Fabri, the then dance-critic of the Statesman was so impressed with the Odissi recital that he made the significant statement "Odissi may be an older and more pure dance form than Bharat Natyam". It seems, he also suggested lndrani Rehman to add Odissi to her reportoirer. In May 1957, a seminar on Odissi music and dance (the first of its kind) was organised by the Utkal Nrutya Sangeeta Nrutyakala Parishad at Puri. Along with Guru Kavichandra Kalicharan, Deva Prasad participated in this seminar where Indrani Rehman was not only a participant but also an eager individual looking for an insight into the Odissi dance. Beyond the routine of the seminar, it was Deba Prasad's demonstrations of solo performances with the basics that made Indrani Rehman realise that Deva Prasad was the finest person to enlighten her. She became his desciple and a new phase in the hostory of Odissi began. On December 1, 1957, Deba Prasad gave a lecture demonstration on Odlssi at Indrani's house where most of the dance critics of newspapers, dance scholars including Dr. Kapila Vatsyayan, Dr. Charles Fabri and Dr. Mulk Raj Anand as well as the MP's of Orissa had gathered. There were fine reviews in the newspapers. On February 19, 1958, Indrani performed Odissi at the IAFAC's theatre in Delhi accompanied by Guru Deba Prasad and his Orchestra, where she was declared as the first professional dancer to perform on a professional Delhi stage. During the seminar of Sangeet Natak Academy at Delhi where the lecture-demonstration of Kavichandra Kalicharan Pattnayak, followed by Indrani's Odissi recital at Talkotra garden drew unprecedented appreciation for Odissi dance. Deba Prasad started accompanying Indrani who performed Odissi dance in all the major cities of India. In October 1959, Odissi was presented abroad, for the first time, when Indrani and Guru Deba Prasad toured England, Europe and the USSR, for almost six months. In December 1958, they gave the first of Odissi presentation at Rashtrapati Bhavan in honour of President Eisenhower and President Dr. Radhakrishnan, Prime Minister Nehru and subsequently for Queen Elizabeth, Chou En Lai and others. Untill 1963 this Guru disciple pair travelled abroad performing in many places covering five continents. GurukulIn the meanwhile a group called 'Jayantika' was actively trying to re-orient, restructure and standardise Odissi as per the classical norms. Guru Deba Prasad played his role in this group quite effectively even if his ideas on issues like 'Stnyee Nrutya' were never accepted. Tradition and purity backed by literature were his forte in all endeavours. During his research, Deva Prasad had obtained lessons from Late Mohan Mahapatra, the Maharis, Late Padmanav Das, an eminent Gotipua Guru, LateChandra Sekhar Pattnaik, a well known exponent of Abhlnaya and many others.He travelled into the interiors of Orissa to view the pithas and temples in search of tradition. While searching for Sabda-Swara-Puta he travelled to the Kumbhari in the district of Sambalpur to learn it from the existing Gurus. The Utkal Sangecta Mahavidyalaya was founded in 1964 in Bhubaneswur. Deba Prasad joined this institution to teach Odissi He was continuing successfully, when death suddenly snatched him on16th July 1986 leaving a void in the world of Odissi. The Deba Prasad Gharana of Odissi retains its pristine purity in its undiluted form. The style has elements of rawness in it. The concept of Tridhara is quite vibrant. Deba Prasad believed that Odissi as a dance form has evolved from tribal, folk and classical culture and thus he conceptualized Tridhara. The Sabda Swara Pata is an integral part of the Deba Prasad Tradition.